Dressing game can be a major chore. This is especially true if you have to stop in the middle of the task to re-sharpen your knife. 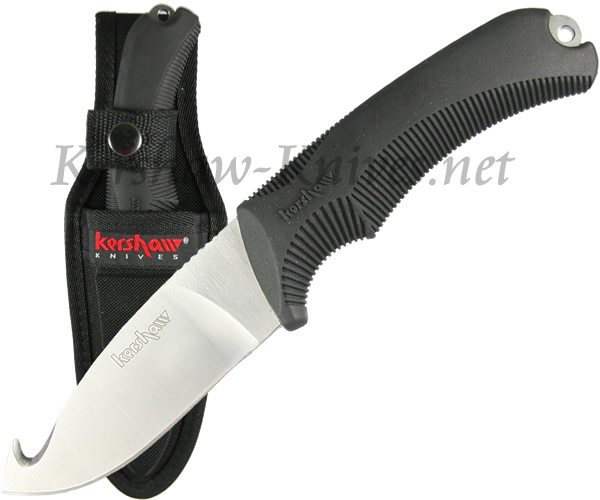 The Kershaw Elk Skinner II 1078GH has been constructed of high hardness 8CR13MoV steel for superior edge retention as well as corrosion resistance to eliminate the need to re-sharpen during game processing. The gut hook quickly, efficiently opens game for dressing. The handle is double injection molded santoprene. Textured grooves and a generous finger guard allow you to get a good grip and keep control of the blade.